M, Tu, W, Th, F, Sa 4:30 AM - 6:00 AM 16 hours 30 minutes Pick-up Location will be at consolidated location no more than 3 minutes from your hotel. Most companies have a set of centrally located hotels that they do pick ups from. Since Waikiki is a very small area, if they do not pick up at your hotel, it will be from another one that will be a 3-5 minute walk. This makes the pickup process short so you can start the tour as soon as possible! Our tours are conducted in 25-passenger mini-coach tour buses with Discover Hawaii Tours logos on the sides. Our friendly expert guides are dressed in red polo-style shirts with our logo and black slacks. Upon arrival to Hilo, guests will be met outside of the baggage claim terminal by the Discover Hawaii Tour Bus (White mini coach with red letters) Look for a Discover Hawaii Tour guide wearing a red polo shirt and black slacks. Does this tour go around the rim and see the red glow of the volcano? Crater Rim Dr. has been closed indefinitely due to dangerous fumes and ashfall from the vents. 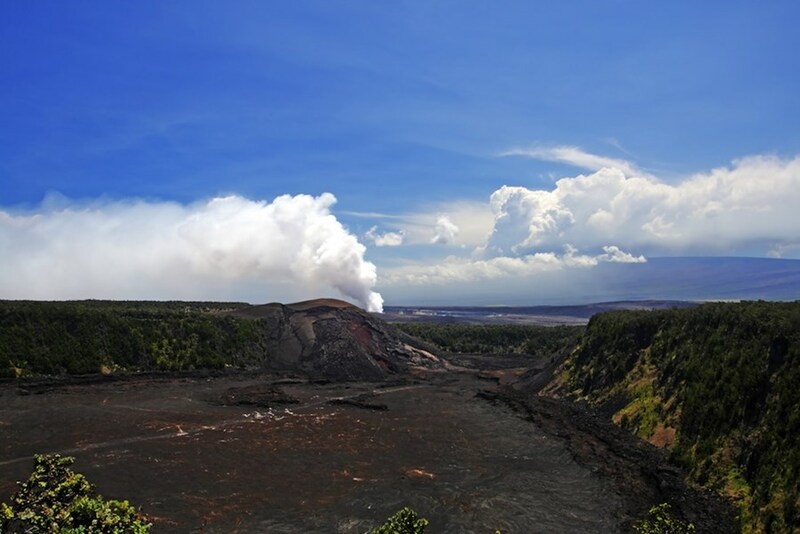 The tour does take you to the overlook of the Halema’uma’u Crater. Do you get close to the volcano? As far as getting close to the volcano (the entire island is basically a volcano), if you mean active lava the answer is not close at all as it would be dangerous and not allowed by the park. This will take you inside Volcano National Park and check out various areas including those affected by the new eruptions in 2018. 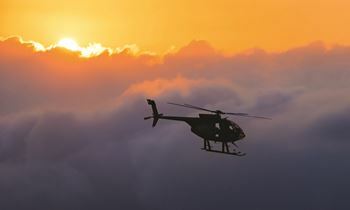 If you are trying to see active lava flow the best chance for that is to do this tour with the helicopter option, but its not a guarantee as conditions change frequently. With this tour, do we get to get up and close to the red flowing lava? And what other activities and sightseeing will we get to do, as I noticed there are warnings of closures since 2018 eruption. 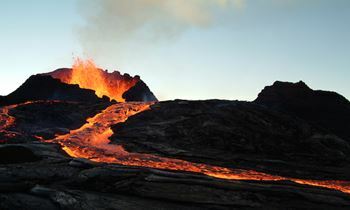 No you will not see any flowing lava on this tour, the best option for that (still not a guarantee) would be to do the tour with the helicopter option. The main spots that are no longer accessible/limited accessibility are jaggar museum, visitor center, crater road, and thurston lava tube. 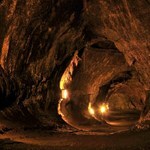 Went on the Big Island Volcano Tour with flights from Oahu. The trip was well planned and organised. The tour guide YB was great. The sights were amazing. This is a must do and I would recommend this company to anyone interested in seeing Volcanos National Park. This tour was a long day but a really good tour. The flight was short to get to the Big Island. Hilo town was really green and had a light drizzle that made some great rainbows. 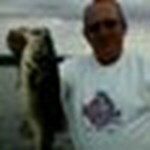 The guide, John, was really good and made for a great day. Lunch was okay and the food was a good price.Volcanoes National Park was huge and really interesting. 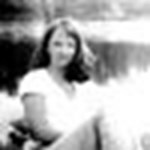 I think the Thurston Lava Tube picture my husband took of me ... morewill be my next facebook picture! The steam vents were really really active when we were there.The black sand beach was really nice to see and the lava viewing area was amazing. I was happy to see the glow coming down, our guide said that 2/3s of people on his tour get to see it.It was a good day and I’d suggest this tour to my friends. Make sure to get a good night sleep before you go, it is a looong day! Our volcanos tour was wonderful!! Steve was the best guide ever..we could tell he really enjoys being a guide! Steve knew everything!! Mahalo to Steve and Discover Hawaii Tours!! I was travelling on my own and booked this tour and was surprised at how many others were on there own too. It was great to meet so many people from different parts of the world and the tour itself was run very well. the only disappointing thing was it rained the whole day so some of the sites were very difficult to see due to poor visibility but hey you cant predict the weather. Phoenix was a great ... moreguide and you could tell he loved his job. he was able to answer any questions and if he was unsure he googled the answer lol. very interesting island with a beautiful story, well worth the trip. 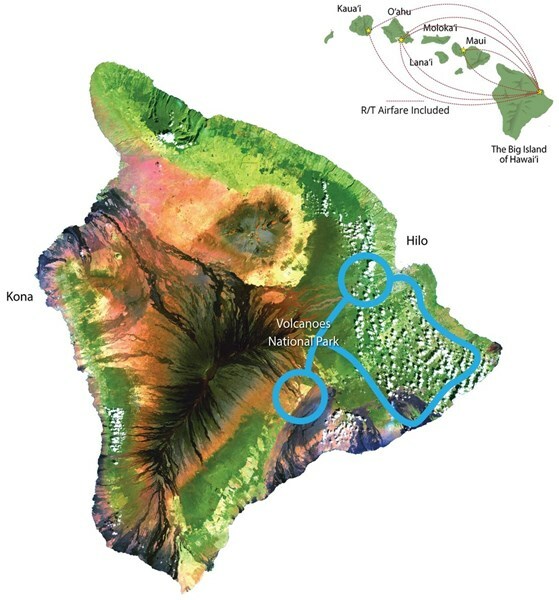 Our tour showed us heaps of places, but unfortunately as we were there when the tsunami was we didnt actually get to see the lava flowing, never mind, the Big Island is so beautiful & different to Oahu. I looked at different travel companies to take this sort of used travel blogs, & each time Discover Hawaii came up No 1 and they deserve it. I have no hesitation in recommending this tour, you will not be disappointed. Thanks Phoenix for a memorable day, we will rave about it for years. We flew from Maui to Hilo on the big island. Right on schedule, Phoenix met us at the airport for the tour. He did a super job. He was very knowledgeable, interesting, and funny. The stops and sights were well worth the time. I’d recommend this trip to all. This was the most awesome, fantastic trip I have ever had. Our guide, John, was great, very informative and entertaining guide I have ever had. He explained everything very well. I would HIGHLY recommend this tour to anyone who wants the best information about the volcanos. This was the best decision I made while in Hawaii! I was traveling by myself since I was in Hawaii for work instead of vacation. I was hesitant at first because I didn’t want to look like I was a loner. But our tour guide, Tony, made me feel like part of the family while taking us around the island. I had a great time with the group and I would definitely recommend this to everyone! 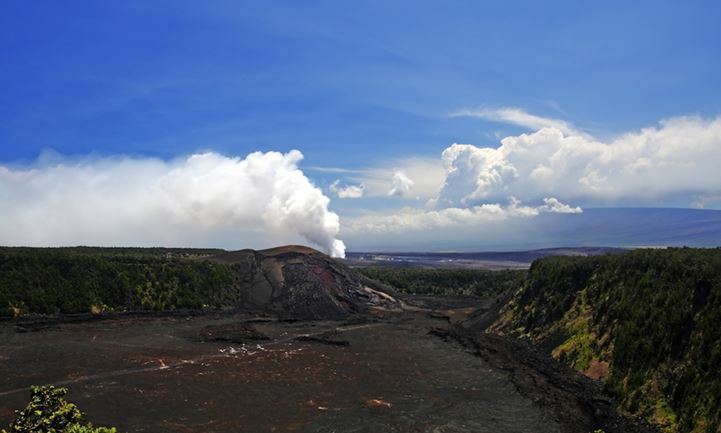 This tour shows ... morehow magnificent a volcano can be and how Hawaii keeps growing. Tony is so knowledgeable about the subject matter and this tour has such a great pace that I didn’t feel like I was being herded like a tourist cattle. Great job, would do this again! 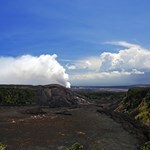 We went to the Big Island from Oahu on May 9th and Kamike (sp) was our guide. We could not have asked for a better day. It was an awesome time. He was so informed and friendly and the tour took us to see everything we wanted to see. I would not take a tour with anyone else. It was the best. Kamike made each and every one of us feel like we were part of his family and when we left, it was like leaving ... morehome. Thanks for your great tour. I will recommend you to anyone I know is coming here. 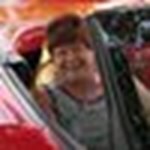 Our family of 5 booked this tour before leaving on our holiday, it was easy, hassle free. Our children are teenagers and enjoyed this day. It was so much more than volcanoes and we were given plenty of time to explore at each stop. Our guide John treated us like friends, loved our sing along on the bus You gotta have faith John! A wonderful experience exploring your beautiful island that has become ... morea treasured memory. Mahalo John. What a tour! The lava was flowing, the glow was beautiful, and the natural formations were quite impressive. It rained for much of the day but I guess that is just how it is on that part of the island. It did make the waterfall that we saw flow heavily. Even got to see a black sand beach. I didn’t know those existed!! 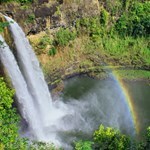 This was our first time to use Discover Hawaii Tours and we are very pleased and satisfied with the service. Kalani, our tourist guide was very pleasant, happy and friendly. He introduced himself at the beginning of the tour and it made us feel welcomed. He answered all the questions we asked him. 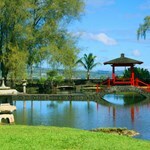 I would highly recommend Discover Hawaii Tours to my friends and relatives who come to visit the island. 3rd of 5 tours we took with DHHT while in Hawaii. As with the rest, it was very informative and well organized. Jonathon, our guide, was great and was very knowledgeable of the Hilo area of the Big Island. Only disappointment was with the lack of volcanic activity but this was beyond the tours control not very active since the earthquake and tsunami in Japan shifted the geological plates in the Pacific. ... moreThe rest of the tour definitely made up for this shortcoming, especially the entertainment at the meal stop from Jonathan. My friends and I went to Oahu for vacation last month and had a great time. We stuck around the Waikiki area for most of the time and decided that we wanted to hit at least one more island while we were there. We decided to see the Volcano on the Big Island but really didn’t know how to go about it. A member of the hotel we were staying at recommended that we take a tour instead of taking on the excursion ... moreon our own, I have to say, my friends were not excited about this idea, but the price was right and we were told that we would see much more then just the volcano. It worked out perfectly! We were picked up right at our hotel and taken to the airport, all the ticketing was taken care of. Once we arrived on the Big Island, we were picked up by our guide Phoenix, who was awesome! He REALLY knew his stuff, you could tell that he enjoys what he does, and we had a great time with him. He taught us a lot about the land and the culture, which was really interesting. 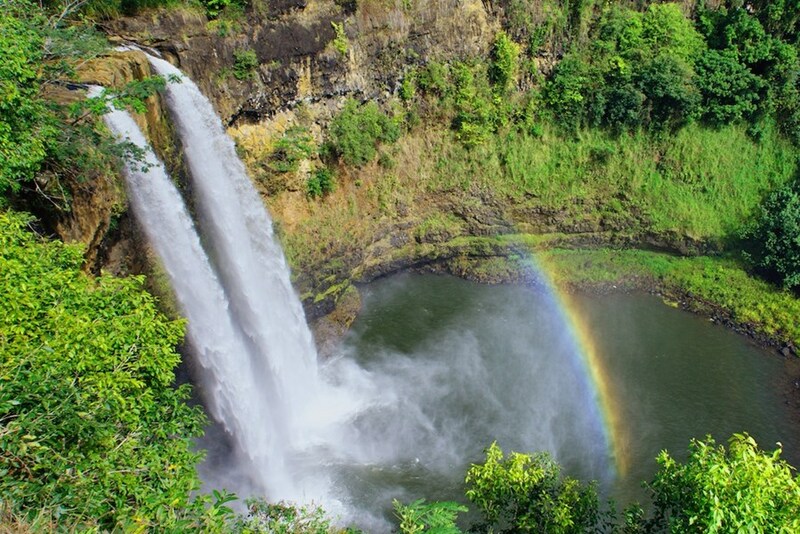 We were brought to some really cool spots around the island, Rainbow falls seemed to be one of the group’s favorite places. We saw so much that day, and to top it off with the Volcano viewing at the end of the day was great. My friends could not have been happier with the tour, thankfully, otherwise I would have been hearing about it all the way back to the mainland haha. I would recommend this tour to everyone, this is much more then just a lava viewing tour and our guide really made it a lot of fun. We got much more then we thought, and Discover Hawaii did an awesome job! The guide jay was great, knew his stuff, was very funny and had some great stories. The 1st half of the day touring Hilo town and surrounds was nice, but I would have preferred to have spent more time in the volcano national park, which we went to in the afternoon and that was great. Also appreciated still being there after dark and being able to see the glow from the crater. I had a great time on this tour and I thought it covered Big Island extremely well. In particular, I enjoyed the time within Hawaii Volcanoes National Park. The tour guides were really professional in that they knew their stuff. They also were extremely approachable due to their friendliness. Everything was arranged efficiently and smoothly and I really had a great time with your company. I would ... morehighly recommend this tour. This volcano tour was the second tour that I have done with your company. The driver that took me to the airport was the same driver on my other tour. I felt so lucky to get to see him again. The guide on the big island was also really great and he made sure that our whole day was great. 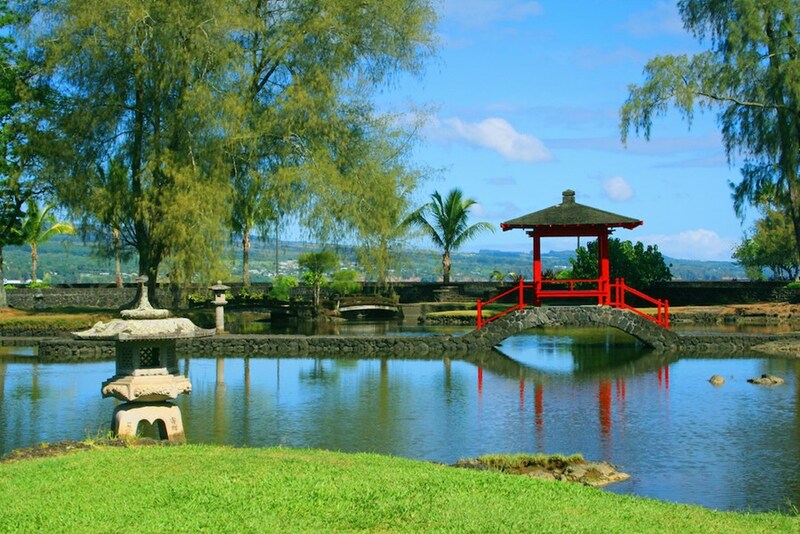 During our visit to Hawaii, we chose to use Discover Hawaii Tours for four various sight seeing tours. This was based on trip advisor reviews which were all very positive. Overall we were very satisfied with our choice as this company comes across as a very professional outfit. Drivers and guides were all very polite, knowledgeable and did their best to make everyone feel comfortable throughout the ... moreday. We would not hesitate to recommend this company to anyone and they would be our first choice if we ever come back to the islands. Our guide was knowledgeable and friendly. She enjoyed her job and made the day pleasurable. There were many sights to see in a single day, and Im glad that it was planned out with a skilled person to accomplish this in a safe and organized way. I would recommend this trip to anyone who would enjoy getting out to explore the sights. My wife and I booked the tour online and everything went well with a 6am pick up from our hotel on 4th September. Our tour guide on Hawaii was Pheonix and he was excellent with good knowledge and treating us with local fruit samples along the way. As per the disclaimer we did not see lava flows but after dark saw the ‘fireworks’ of the lava hitting the sea – albeit from a distance controlled by the ... morelocal authorities but that is how it is. We flew Mokulele Airlines and the evening flight was an hour late but Emily the cabin steward was a blast! Her word perfect but hilarious presentation of the safety procedures and happy hour beverage pricing kept us happy at the end of what would be an almost 18 hour day. We would recommend this tour. I booked this tour online from the UK. The booking and tour was problem free and excellent value for money. A very professional company and an excellent tour guide John made this a day to remember.Thank you John. of us all. The only downside of the day is that I forgot to pack walking shoes. When we got to the lava viewing area there are a lot of sharp and loose rocks, shoes would have saved me some cuts and scrapes. Thank you again Tony for a great day! great day and thank you Tom and Julie for the pics! The whole day went like clockwork. From being picked up at our hotel, the flight to the Big Island and getting picked up by our guide. The day flew by with lots to see. The volcanic fields were huge and very impressive. Thanks for the memories. Excellent tour Jay was our tour guide and he knew many ins and outs of the Big Island, and was very knowledgeable in general, having grown up on Hawaii. We toured black sand beaches, the Mauna Loa factory, the Big Island Candy Company, Rainbow Falls, and more…and the volcano and lava flows of course My whole family had a good time. One piece of advice having to do with the flight the inter island ... moreshuttles are not in the main terminal, something we were not aware of and had to find out the hard way via a long walk. Other than that the tour was a good time. Great tour Phoenix was our tour guide and he was wonderful, not only was he a great guide he provided us with much entertainment as we toured around the island. He was very outgoing and willing to share his personal experiences on the island with us as well as the normal tour stuff. In addition to the regular tour, we made a quick stop at a local market, we were able to walk around, look at crafts ... moreand pick up a bit to eat. This tour was well worth the money. We enjoyed the tour immensely and it exceeded our expectations. The logistics were flawless and well planned. We also enjoyed the smaller bus as compared to other tours since we were able to see more of the volcanoes park. We went to the Big Island with this tour and saw really cool lava flows, craters, smoke, and black sand beaches. It is a really crazy feeling to be walking around on a live volcano!Try it out for yourself. Whoa, the Big Island is amazing! We had been to Oahu and Maui before, but never the Big Island until we took this tour, and it was really cool.Discover Hawaii took us around to all these great natural sights we wouldn't have found on our own, like waterfalls and lava flows.Spending one day to explore the Big Island was well worth it! We spent countless hours researching the different tour companies that offered a tour of the volcano & we were very pleased with your tour! Even though it was a long day, it was well worth the time and price. We would do it again in a heartbeat. Our tour guide was Tony and he was much more than we had ever expected. His wealth of knowledge about the history and culture of the Big Island was amazing! ... moreWe were able to take pictures that were just breathtaking. Best of all was that with each picture, we have a special story that Tony shared with us. Our friends were very jealous when they saw the pictures and heard the stories. Thank you for memorable day! This review could be a book! Shortened version … The tour company took us, on time, to the airport where our flight passes were waiting and we departed for Hilo and were greeted on arrival by our good friend Phoenix. We spent the day seeing lovely sights of the town and the surrounding attractions. After a rather good lunch, we were treated to a winery visit which my wife loved. A thumbs up to Phoenix ... morefor getting us to a wonderful photo location for us at 2PM (Phoenix knows why) at the crater. Thanks to the gent from New Zealand for the photo. The National Park visit and subsequent walks on the lava and views of the live lava provided us memories that we will talk about for quite awhile. 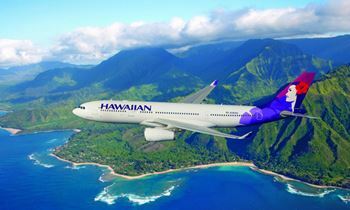 The flight back to Oahu was flawless also and we were taken back to our hotels without delay after arrival. A long, long day!!! Worth every minute. Thank you Phoenix, for your tireless effort to make our day memorable. We loved our group. Two couples from the USA, two from Australia and one from New Zealand. We made some good friends this day. Cheers!!! I usually don't use tour services , but decided to try this one and can't tell you how glad I am I did. I can't imagine an easier way to see what you want. They offer many different tours at every price range and it's DEFINITELY the way to go. from exactly on time for the hotel pick up to the ease of getting to Pearl Harbor and no hassle standing on lines for tickets to exhibits. Our guide ( Barry) ... morewas friendly , informative and went out of his way to accommodate every one on our tour. STRONGLY recommend you check out and use this tour service! Wow! My wife and I had such a great time with cousin Joe! He was the best tour guide we have ever had and was an extremely safe driver. 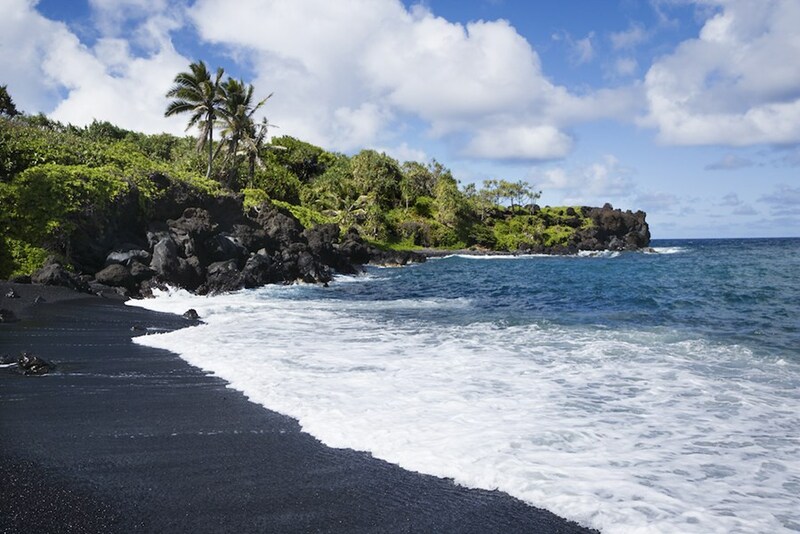 Joe took us to an amazing hike at volcano park and even stopped by the black sand beaches in Kalapana, it was fantastic! I would highly recommend this tour to all! Thanks to Tony for the great day on the Big Island. He took us to all the places listed plus a few that he knew we would all enjoy. All our questions were answered about history and local islands.I would do this tour again money well spent.